Media Molecule once said that LittleBigPlanet would never get a sequel, that it was something the studio wouldn't ever want to do. Whatever changed between then and now, LittleBigPlanet got the second installment that the more cynical among us always thought was inevitable. 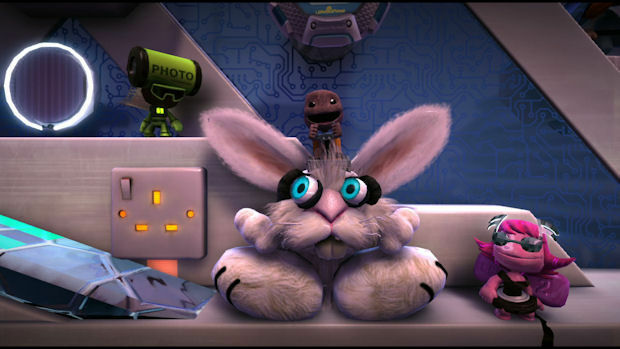 The trouble with a sequel to a game like LittleBigPlanet is that it's difficult to imagine what more you could do. LittleBigPlanet was more than a game; it was a breathtaking toolset of new ideas and fresh content. Following that up with enough content to justify a sequel was always going to be tough. Your mileage may vary as to whether or not you feel Media Molecule got away with it. LittleBigPlanet 2 is almost exactly LittleBigPlanet, but more so. Rather than make any drastic overhauls, Media Molecule has opted instead for giving us the same experience with many more toys in the box. New materials, new items, new gameplay features -- there's a lot of stuff to play with, and how much you enjoy it all depends on how much you enjoyed the original. This is LittleBigPlanet 2's biggest strength, but also its biggest flaw -- LittleBigPlanet 2 is an expansion on an idea, but it is not an improvement. The sequel still boasts the same issues as the original title, chief among them a rather weak platforming element. LittleBigPlanet was, to be fair, a great way of making sub-standard games. 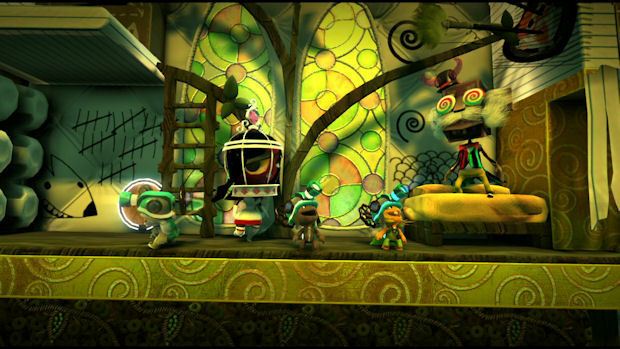 The loose physics and the fact that, by its very nature, levels are cobbled together as opposed to fully developed and polished, meant that even the best LittleBigPlanet level was rather poor compared to the average "real" videogame level. Part of the problem (the cobbled-together feel) can't be fixed and can be considered part of the charm. Other elements, chiefly the game's horribly sloppy physics, really needed fixing but have been left almost intact. As brilliant as LittleBigPlanet 2 is as a concept -- and the concept remains brilliant -- the gameplay in the end is still lacking. Another major issue with LittleBigPlanet 2 is that, in spite of all its new gadgetry, a lot of the original charm has worn off. The sense of discovery and magic that the original game had isn't there in the sequel, mostly because we've seen it before. The first game got away with its loose physics and simple gameplay because it was so new exciting. LBP2 fails to recapture the wonder, and this loss of magic exposes the flaws much more readily. This is not to say, however, that LittleBigPlanet 2 is a bad game. It is, in fact, a rather good one when you take the entire experience into account. If you loved the first title, you'll no doubt really enjoy the new toys on offer. Being able to play with genres outside of platforming, such as scrolling shoot-'em-ups and simple arcade games, goes some way toward making up for the lack of freshness in other areas. The ability to add cutscenes and join multiple levels to create the illusion of a full game helps to turn your own creations into varied experiences rather than one-shot playgrounds, and in the hands of skilled crafters, these tools will be put to some amazing uses in the future. The in-game toys are also rather fabulous. New environment additions such as the Bounce Pad pave the way for ingenious level design, while new vehicular robots -- including a bunny with huge jumping abilities and a dog that can move large blocks with its bark -- are a lot of fun to play with when the physics aren't making them difficult to control. LBP2 manages to impress with the sheer volume of additions. It would be easy to throw in one or two vehicles and call it a day, but the game's story mode will walk you through all the new playthings, and it keeps on delivering from start to finish. The real stars of the show are the power-ups. I don't want to spoil them all, but they include a grapple gun, which allows you to create your own ropes and swing from various materials, and the "Creatinator,"a firearm that shoots out whatever the level designer wants it to. There are a lot more than that on offer, and each one brings something new to the table. 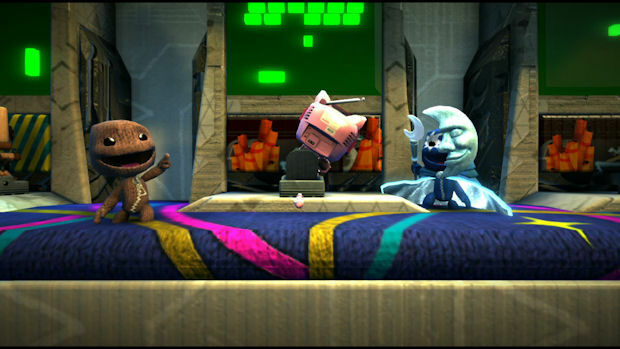 In addition to all that, LBP2 also provides Sackbots, the LittleBigPlanet equivalent to real NPCs. 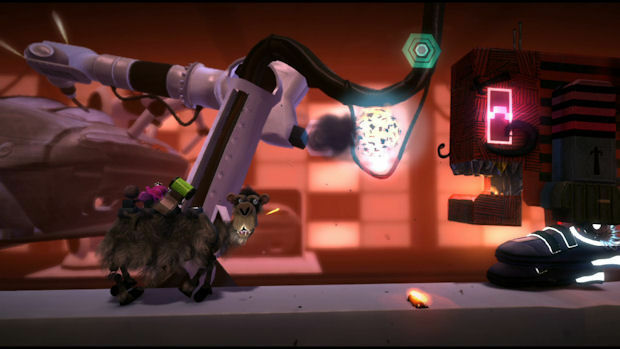 Creators can customize the Sackbots' behavior to make them act in certain ways. They can run away from or follow players, they can fight enemies, they will avoid dangerous materials, and they can be used to help solve puzzles. As is the LBP way, Sackbots are user-friendly and simple, which means you'll never get them performing complex operations, but they will add a lot of extra character to any level. The "Create" mode remains as unchanged as the Play mode. 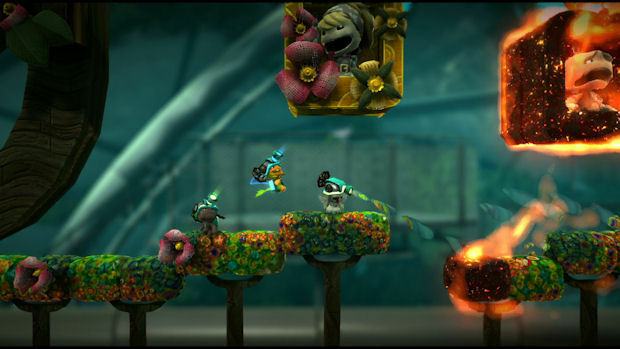 New elements involve the ability to add or remove gravity (low gravity sounds more fun than it is, since it renders Sackboys nigh-uncontrollable) and the ability to customize your own music. The general simplicity of level creation has not been altered, and it's still both easy and fun to start making your own games. The true potential of the level creator won't really be tapped until skilled designers start tooling with them, but for a layman like me, it's still incredible to be able to make almost anything you like, and relatively quickly, too. While everything remains largely the same, there are a few tweaks to help make things smoother. 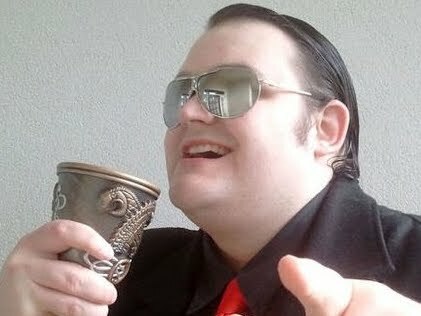 Tutorials are in-depth and listed in an easy-to-navigate viewing field. Connecting various environmental elements like switches and bolts is now faster and requires less fiddling around, and you can even record your own voiceovers for in-game dialog. There is nothing in the Create mode that could be considered revolutionary, but the alterations that have been made are certainly to the budding creator's benefit. It's easier to publish and browse through the game's community portal, with a much more convenient list of levels that makes finding stuff easier to find. At the time of writing, LittleBigPlanet 2 can't connect to the community levels, but hopefully that's a pre-release issue and everything will run at launch. There's no excuse for story mode levels not loading, however. The in-built levels have random load times, and I even had a moment where a level refused to load at all. This loading issue was a major problem for me in the first game, and while some of it is again tied to the nature of the beast, the fact I was having problems even with the built-in story levels is quite worrying, especially since the game has a mandatory HDD installation. As expected, the game's presentation is as terrific as ever. The graphics are beyond gorgeous, and with each Sackboy more customizable than ever, there's a huge amount of charm on offer. The game even attempts a real narrative this time around, with a story mode that actually means something. It's a welcome addition, even if the story is banal and the dialogue is painfully unfunny. The music is better than ever, though, and the story mode alone offers up some great memorable moments where the visuals and sound come together perfectly -- certainly an inspiration for potential creators, and a high bar for them to meet. While the box says that LittleBigPlanet 2 is PlayStation Move-compatible, that's a little bit disingenuous on the part of the packaging, at least at launch. 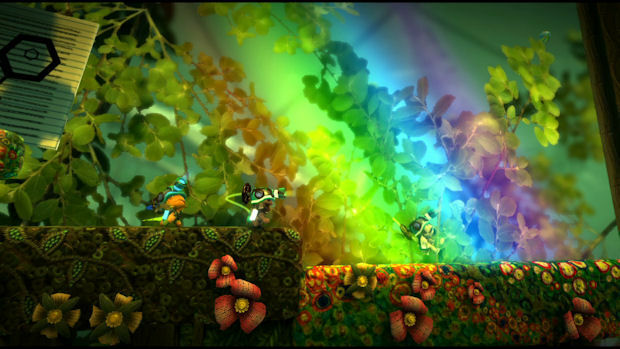 The game has a ten-level demo which PlayStation Plus subscribers will have already enjoyed, Sackboy's Prehistoric Moves. Irritatingly, you have to install this demo separately, and it has to be accessed from a special "Extras" tab in the PS3's XMB rather than the game itself. Quite why it's so inconvenient is anybody's guess, but for what it's worth, the demo levels are a cool co-op experience in which one player manipulates special motion-controlled environments to help the other player's Sackboy get to the end. It certainly shows potential for future, patched-in Move support, but don't expect any waggle antics at launch. Whether or not you enjoy LittleBigPlanet 2 depends heavily on whether or not you were still playing the first game months after it launched. If the magic wore off after a few weeks, then LBP2 is definitely not for you, as it does nothing to rekindle the fire. 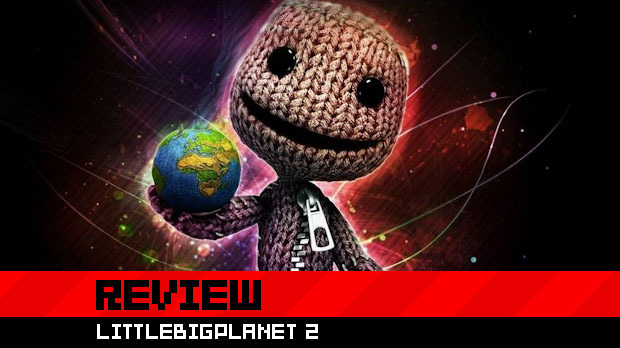 If you never got tired of the experience, then LittleBigPlanet 2 will help extend and enhance it, rather than overhaul or even improve anything all that much. The flaws of the first game are preserved and plain to see, and now that the freshness of the previous title is lacking, the problems are that much more glaring. For all its new gimmicks and flashing lights, LittleBigPlanet 2 can still be best described as a great way to make substandard games. It's fun and it's cute and it's something PS3 fans should check out, but it's relying on a concept that was brilliant two years ago, and just isn't enough anymore to catapult the game into true greatness. You're good, LittleBigPlanet 2. But you're not quite as brilliant as you want to be.